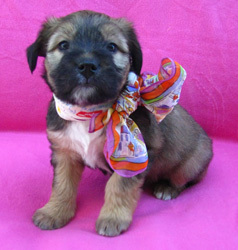 Santana, now named Ruby has joined her family in Santa Ana with another furry companion. 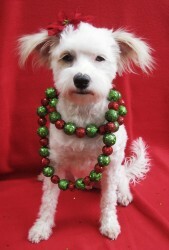 Holiday, found as a stray, was adopted with Fandango, a rescue from Orange County Shelter. We look forward to updates as these two sisters start a new chapter together. 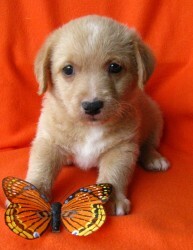 Rusty is now living in San Clemente and going on 2 mile runs with his mom every morning. 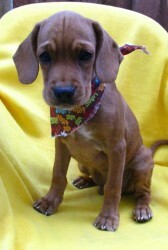 We couldn't have asked for a better outcome for Rusty! 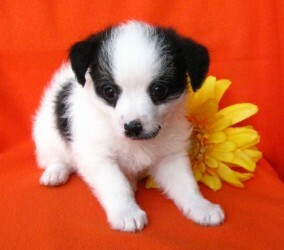 Taboo is finished touring with the Black Eyed Peas and is now living in Anaheim with a Shih Tzu and two kitty cats. 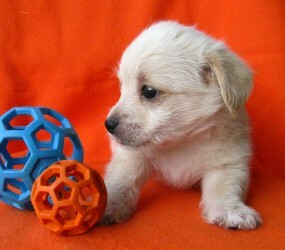 Glory has found her forever home and has a new brother to play with. 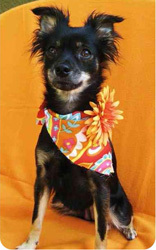 Apl.de.ap is living in Irvine with two other furry companions and three human brothers. 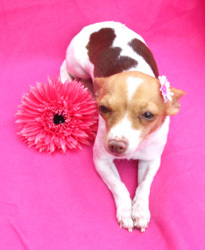 Sachi, now named Audrey has found her forever home with a Chihuahua brother named Dexter! 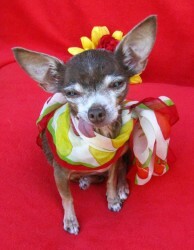 Mom and dad look forward to nursing this sweet little girl back to health after being neglected for so many years. 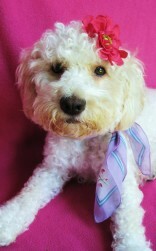 Savannah is now living in San Diego with her new family and will be becoming a therapy dog. 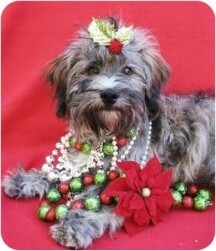 Dixie is living in Yorba Linda with her new family. 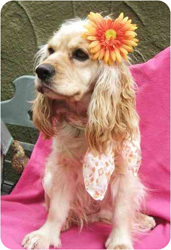 Goldie has started the next chapter of her life and has found her forever home with another pooch to pal around with. 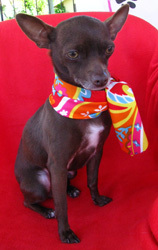 Sancho, now named Diego, is living in San Diego with his two ladies. Ava, now named Nina Simone is living in Oceanside with her furry feline "soon to be" friend named Bumper and her rubber chicken. 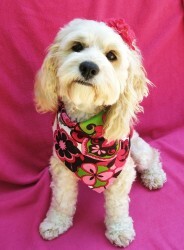 Sasha is living in Palos Verdes with her new canine sister Lucy. Beyonce is now living in Laguna with her 3 legged canine pooch. 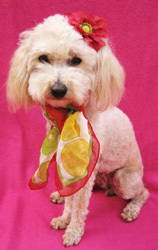 Cha Cha is living in Lake Forest with her new family and goldendoodle. 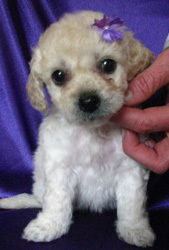 Miss Mambo has put her mother duties behind her and is now starting the chapter of her new life in her forever home. 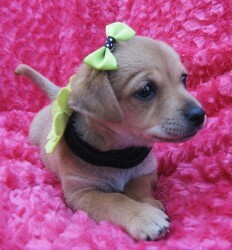 Britney, now named Chloe will be joining her mom and two brother canines living in Nipomo california. 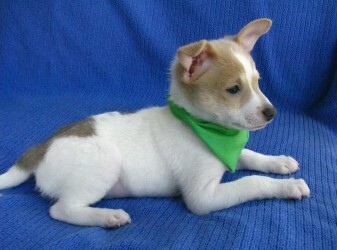 JB now named Bailey has found his forever home with his new mommy. 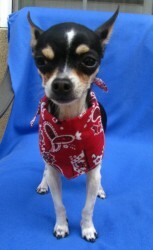 Keisha, now named Pepper is living in Irvine with her new mommy and daddy! 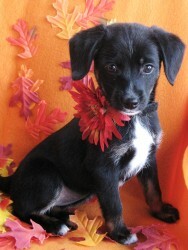 Our special little Taylor was adopted into a home along with her brother Usher. 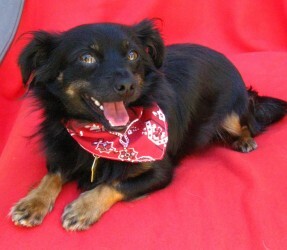 Usher was adopted along with his siter Taylor and they are now living in Rancho Santa Margarita. 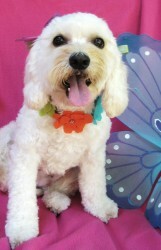 Precious is done with her mommy duties and is living the life in her new home in Costa Mesa with her sister Puka. 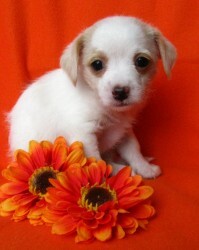 Daphne will be joining her family once she gets medical clearance from our vet. Daphnes back had a reaction and is in the process of scabbing over. 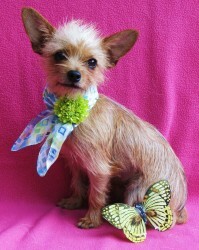 It's been a long healing process but she is finally on the mend and one step closer to joining her forever family. Rihanna has a new mommy and is living in Montebello California. 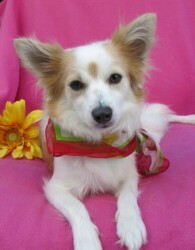 Fiona is now living in San Diego with a family that fell head over heels for her and will tend to her every need. 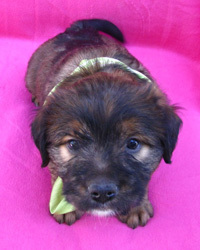 Kahlua is going to her forever home with her sister Brandy, they will be living in Tustin with a great family! 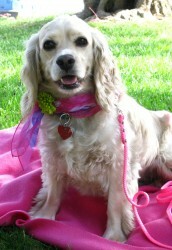 Martini now "tini" is living in her forever home in Huntington Beach. Her foster mom and dad fell so in love with her, they decided she wasn't going anywhere! 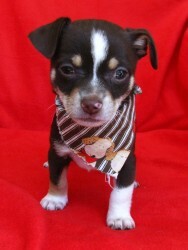 Bandi, now named Sheldon, is living in Costa Mesa with his mommy and daddy. 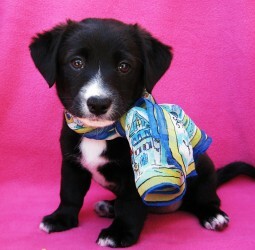 Cosmo has found his forever home and is now living in San Juan Capistrano. 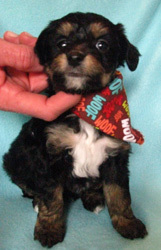 His mom is a practicing vet in Irvine, CA. 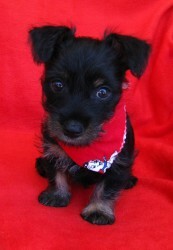 Mickey, now named Sir Biskit is loving life in his new home and being toted around town in his sling bag. Peapod is done managing her Peas and is now living in Los Angeles with another furry canine companion and two feline companions. Miley is now living in Studio City with her new family. 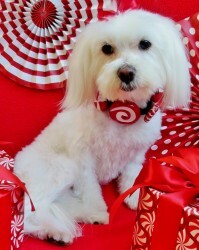 Nicki is living in Playa Vista with her new mommy and daddy. 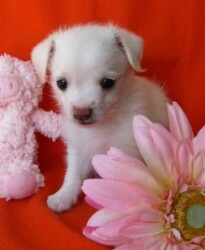 Lana is living in Corona with her new mommy. 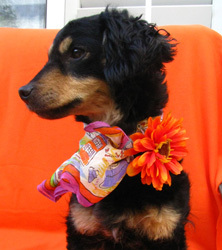 Candi has found her forever home in Orange and has her special someone to call her own. 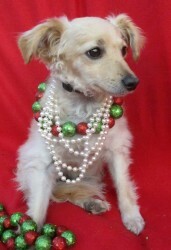 Dakota is living in Costa Mesa with her new mommy. 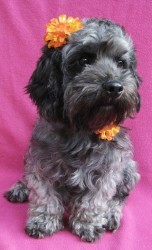 Haylee is living in Lake Forest with her new family who have a daughter named Haylee (spelled the same way too!) 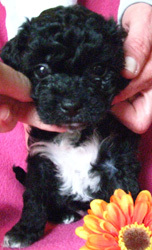 and a furry cocker spaniel companion. 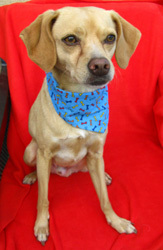 Charleston is now living in Coto de Caza with his new family who anxiously awaited their new arrival. So much so they went to the fosters home several times to visit thier new boy! 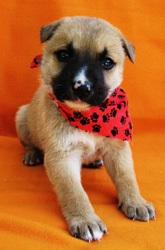 Biebs has joined his forever family and we look forward to seeing this handsome boy grow up! 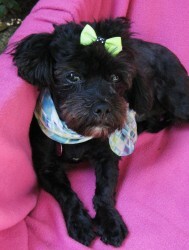 Penelope has joined her new family and is living with a Lovebug alumni named Honey. Both girls were rescued out of the Baldwin Park Shelter. 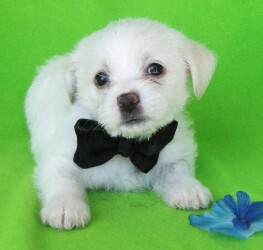 Bruce, named after Bruce Wayne aka Batman, is living in his new home with another Maltese pal named Sam. 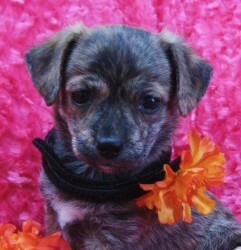 Fergie is also finished touring with the Black Eyed Peas and is joining her new family in Brea. 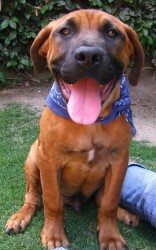 Skipper joins his new family in Laguna Niguel with a boxer canine pal. 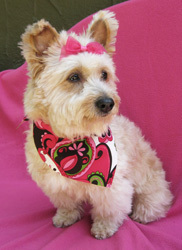 Maryanne is living in Rancho Santa Margarita with her new family. 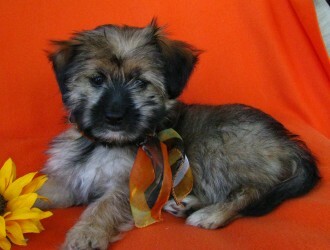 Kobe Franklin is now living in Orange with his new furry companion, a salt and pepper mini schnoodle named "Pepper". We think they will be great life long pals. 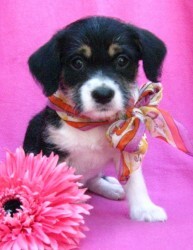 From our fosters doorstep to her forever home, Zinnia has been adopted! 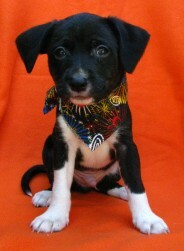 Snapdragon has been adopted! 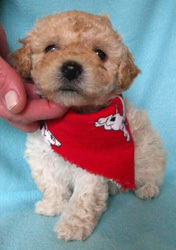 His family reports they are pleased with their new boy and he has been the perfect little pup. 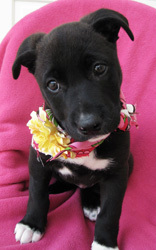 Magnolia has found her forever home, and we look forward to hearing updates from her family. 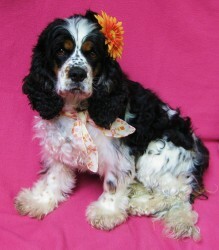 Jasmine is now in her forever home, where she can be showered witha lots of love. 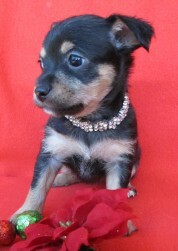 Jade is living in Corona Del Mar with her new mommy. 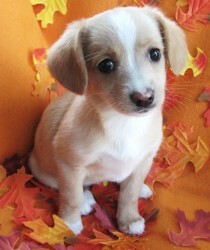 She is looking forward to long walks by the beach! 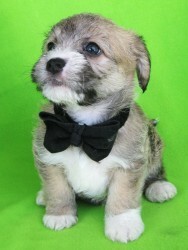 Theodore has joined his new family in Los Angeles and is looking forward to getting to know his big brother Chewie who is a brussels griffon. 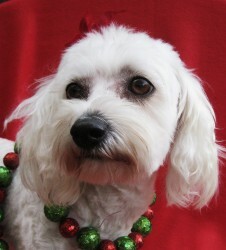 Mackenzie has been adopted and is now living in Costa Mesa with her new family! 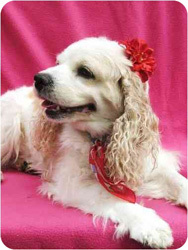 Tootsie Roll is now living with her forever family in Oceanside with a retired couple that looks forward to spoiling their little girl. 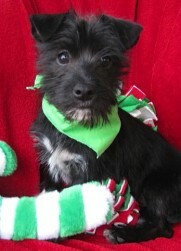 Frankie is living in San Gabriel with his forever family! 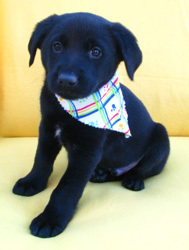 Murphy has found his forever home in Laguna Woods and is looking forward to meeting some new furry friends that live across the street. 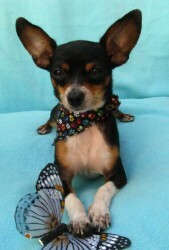 Bree is living in Santa Ana with her new pal Max who is a very special 3 legged Chihuahua. 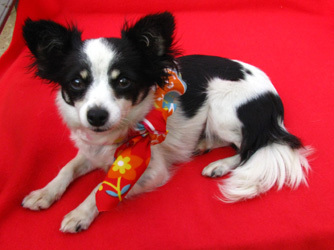 Gilligan is living in San Juan Capistrano with his brother Minnow. 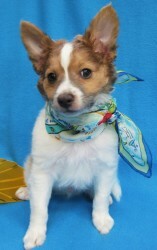 Ginger is living in Lake Forest with her brother Howell. 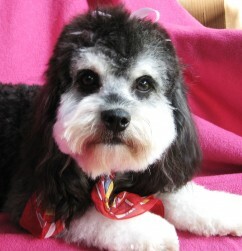 Howell is living in Lake Forest with his sister Ginger. 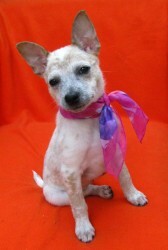 Minnow is living in San Juan Capistrano with his brother Gilligan. Thurston is living in Beaumont with his new kitty pal. 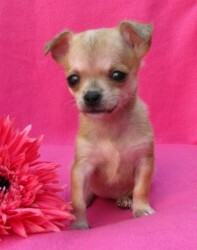 Honey is now living in Fountain Valley with her family which includes a Chihuahua named Rocky who is smaller than her! 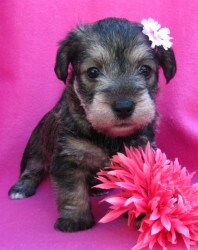 Her mommy and daddy are looking forward to spoiling their new little girl! 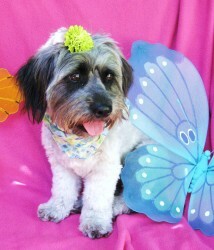 Chip is living in fountain valley with two former Lovebugs, Honey & Penelope. 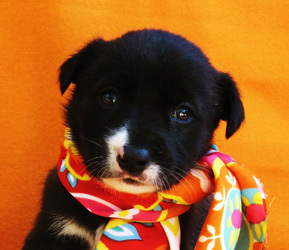 From running along a busy highway as a stray, to a home where he can call someone his own - LB has been adopted! 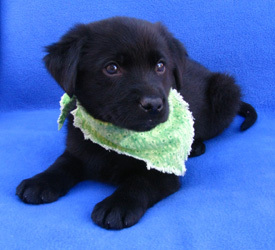 Tyke has been adopted and has joined his forever family! 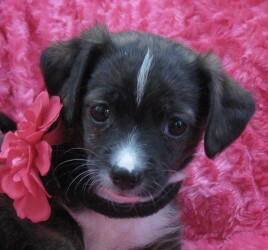 Sky is now living in Anaheim with another little rescue Doxie-mix pal named Payton. 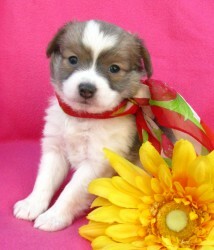 Lorelei is now living in Redondo Beach with her new mommy and daddy. 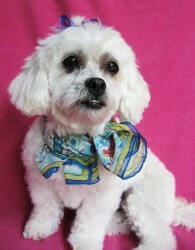 Our sweet Sophia is starting the next chapter of her life in her home in Newport Beach with two furry canine pals. We can't wait for our first holiday photo of the trio! Pilot is off the runway and into his new home in Laguna Hills with a retired family that is looking forward to spoiling their little boy. 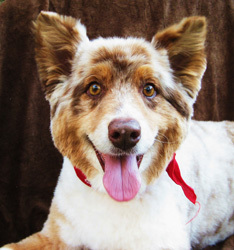 Brownie, a beautiful red merel aussie, is onto the new chapter in his life and has found his forever home. 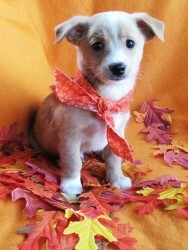 Tango has joined her forever family! 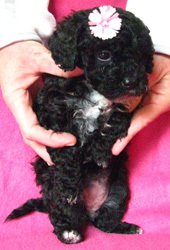 We look forward to getting updates from her family and watching her grow up. 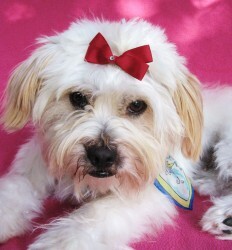 Boo is now living in Dana Point with is new family and two canine play pals. A family that was adopting Holiday, also fell head over heels with Fandango, aka "Fanny", so they adopted both! 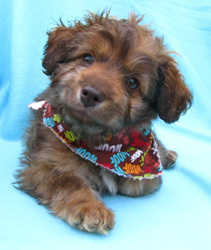 Cargo, now named Oliver found a great home with a male Cockapoo and a lovely lady who plans on spoiling her two boys. 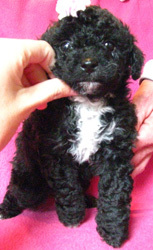 Lady, soon to be named Wagga Muffin, has joined her family in Irvine with a new cocker sister named Muttsarella! This dynamic duo is soon to be chasing their respective tennis balls around the yard, but who will bring the ball back? 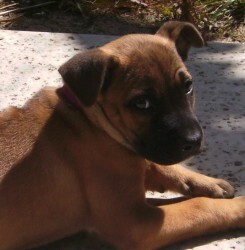 Brandy got adopted along with her sister Kahlua and they are now living in Tustin. 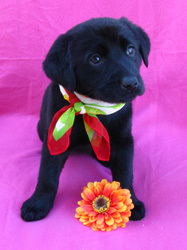 Bailey has found her forever home and we look forward to seeing her grow up! We are thrilled to announce that Trixie, after being in our rescue for 8 months, has found her special someone to call her own! And she also has two new feline buddies named Addy & Chester. 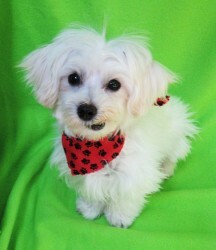 Aspen is living with his new mom and dad in Mission Viejo. 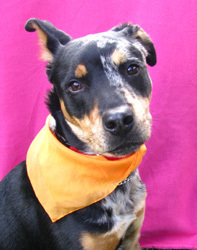 He is looking forward to teaching "boot camp" for doggies, a new class coming this summer. Madison is with her new family in Nevada, who drove all the way to California to meet their pup, then a second time to formerly adopt her once she was ready to go! 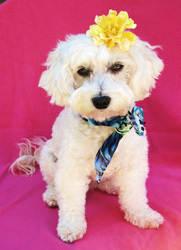 Sunshine has joined her forever family and is now living in Santa Ana with a canine companion. 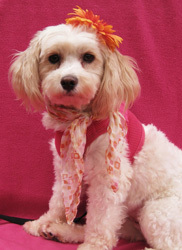 Jolie has joined her forever family and is starting the next chapter of her life. 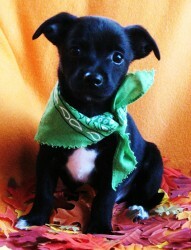 Delilah has joined her forever family and is putting shelter days behind her. 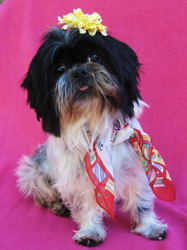 Suki is living in San Dimas with her new family and looks forward to being the center of attention. 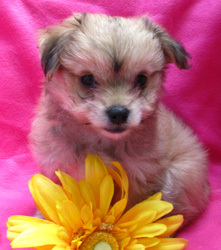 Parfait is living in Santa Clarita with his new family. 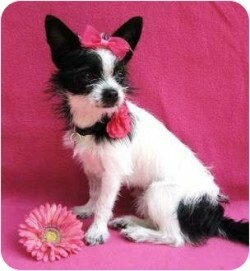 Twiggy has joined her forever family with a little Chi pal named Harley. 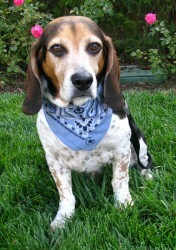 Oreo has found his forever home with a true Beagle lover, and now spends his days with two female Beagles, Lucy and Coco. 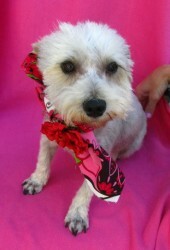 Ollie has upgraded her amenities from Riverside shelter to a cozy forever home in Laguna Niguel. 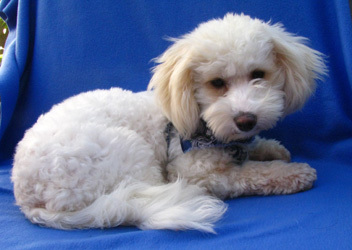 Melbourne is now living in Irvine with his forever family! 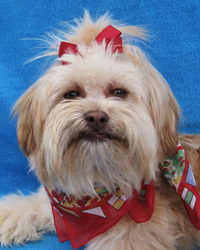 Charlize, now named Cha Cha is living with her new family in Huntington Beach and has a new Yorkie best pal named Grizzly. 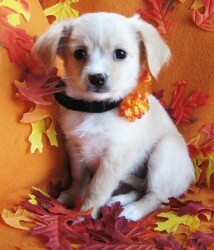 Levi will be joining his mommy in Colorado where he will get to play in the snow this winter! 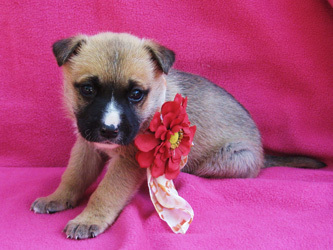 Margarita has left her foster mommy to join her forever family. We look forward to seeing her all grown up someday! 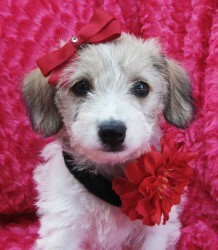 Rosebud had been adopted and will be living in Anaheim with her forever family. 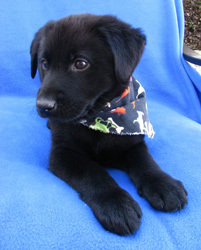 Duke has joined his forever family and is now living in San Diego. 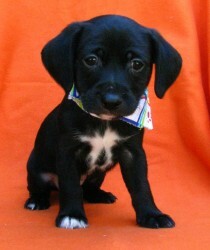 Truman has been adopted and will be joining his family soon! 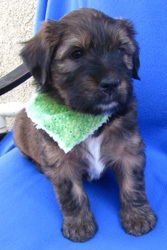 Louegie is now living in San Clemente with an Irish Setter named "Moose". 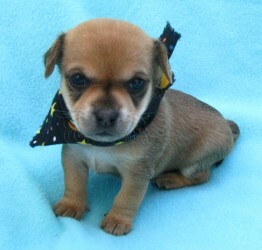 Pip is now living in Buena Park with another little chihuahua mix companion. 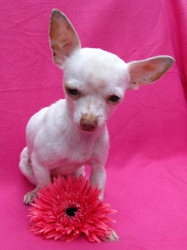 Tinkerbell has been adopted and has two new Chihuahua friends named Buddha and Gizmo! 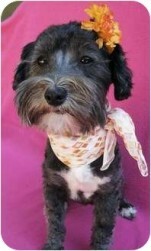 Norma Jean got her big break and has moved to San Diego to star in her upcoming role. 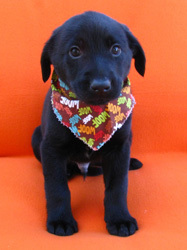 Bronson has found his forever home in Irvine, and looks forward to having his new mommy all to himself. 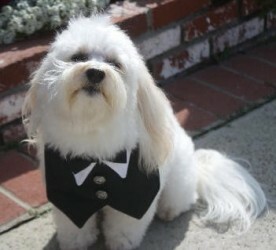 He is going to be one pampered pooch! 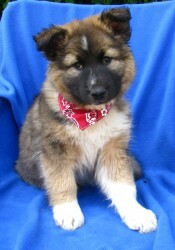 Rocky has found his forever home in Garden Grove with a family that has large breed experience. 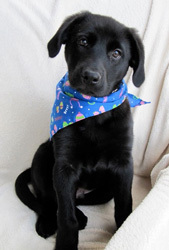 There was a long line of great applicants for this handsome boy, we wish we had 10 of him! 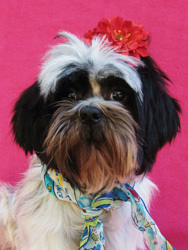 Maui has joined his forever family in Mission Viejo with another furry companion. 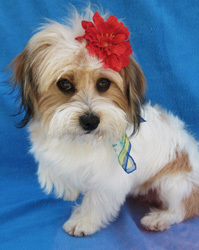 Bradley has found his forever home in Rancho Santa Margarita with his new family. 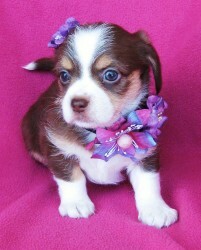 Mercedes has joined her new mommy and daddy and is now living in Oceanside. 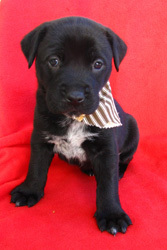 Al Capone has joined his forever family in Mission Viejo. We hope that him and his new feline friend Mocha become lifelong pals. 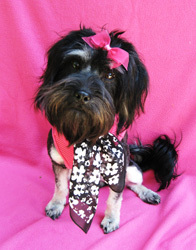 Java has found her forever home in Palos Verdes and has joined two new furry siblings named Coco and Zeus. Her family couldn't be happier with their new addition! 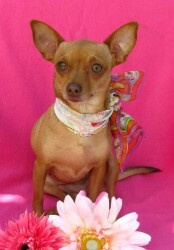 Ruby has found her forever home and is living in North Tustin with her mommy. 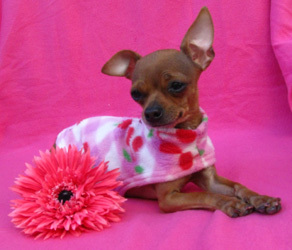 Eclair is living in San Diego with her new family. 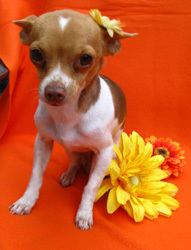 Catalina got the best mothers day gift of all, a forever home with her new family! 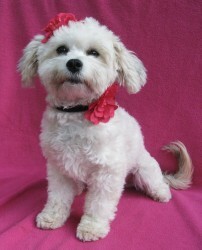 Pinky has moved up north to Sunnyvale with her new family and now has a maltipoo sister named Lulu. 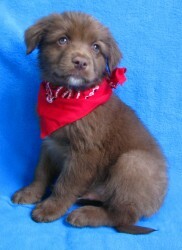 Fraser is now living in San Diego with his new mommy and daddy that fell in love with their brown bear instantly! 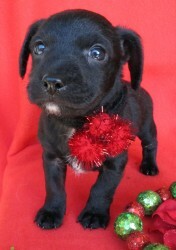 Jingle, now named Oliver will be living in Mission Viejo with two older human sisters and another canine pal. 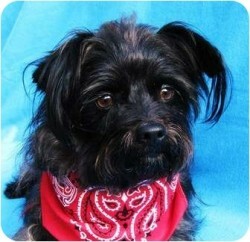 Lil Raisin has found his forever home in Los Angeles. 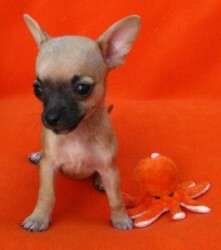 You may find him vacationing in Cabo with his brother Pumpkin. 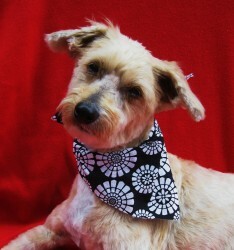 Roger has found his forever home and will be joining his family in Irvine. 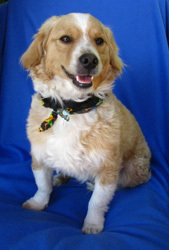 Joey is now living in Rancho Santa Margarita with his new family and a 3 year old aussie named Kimmick. 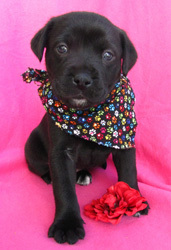 Elizabeth has finished mommy duties and will be joining her forever family in Garden Grove with two other furry friends. 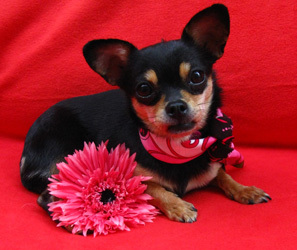 Thelma hit the jackpot and has joined her forever family! 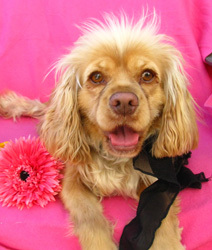 Bondi has joined her new companion Tobi and family in Rancho Santa Fe with a family that was love at first sight! 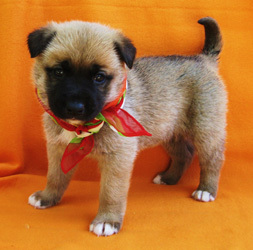 Hannah has been adopted and will be joining her new family soon! 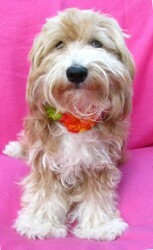 Charlie is living in Irvine with his new mommy and looking forward to being her one and only. 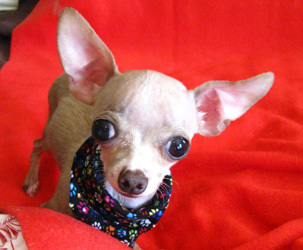 We had Nora's cherry eyes fixed and she is now in her new home living in Corona Del Mar. 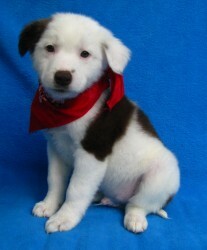 Sydney has found her forever home with two Aussie's and will start frisbee training with her dad. 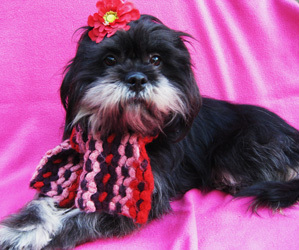 Trinket has found her forever home in Mission Viejo and has another rescue pocket pooch to pal around with. 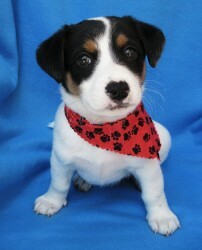 Lady Liberty is now living in Encinitas with a Parsons Jack Russell furry companion. 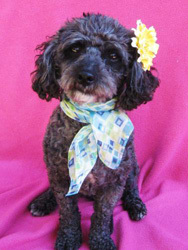 Diana is now living in Ramona, San Diego county with another furry pal. Victoria is living in Lake Forest and has a new running partner. 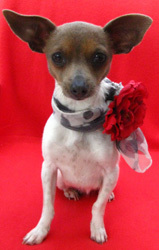 Maddie has joined her forever family and is now living in Laguna Beach with another little Chihuahua companion named Coco. 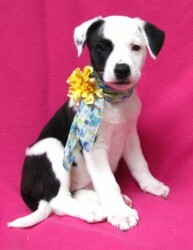 Daisy has been adopted and is now starting the next chapter of her life with her new family! 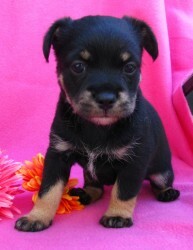 Victorias family drove from up North to pick up their not so little girl! Her new zipcode is Orinda, California. 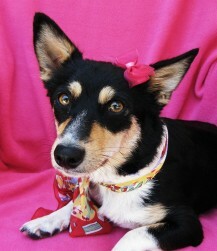 Sprinkles is living in Trabuco Canyon with his new family which includes a Corgi pal named Max. From being taped in a cardboard box and left on the side of the road, we are happy to report, Marley has found his forever home and has a new walking partner. 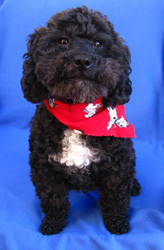 Aston is living in Fallbrook with another furry friend named Thomas Jefferson. 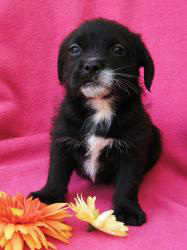 Truffle has been adopted and will join his forever family shortly. 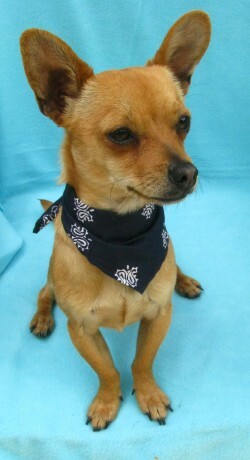 Rover has joined his family and is now living in Rancho Cucamonga. 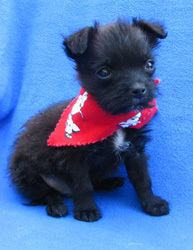 Neville was adopted with his mommy and is now living in Aliso Viejo. 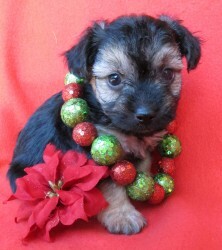 Adorable Bentley is now living in San Diego with his mommy. 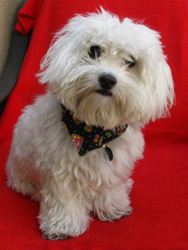 Beemer is living in Irvine with his new fur pack, a cat named Lillian and a rabbit named Lola. 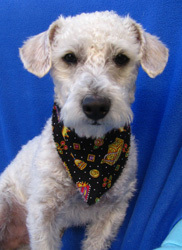 Oliver is now living in La Palma with two other furry friends named Bentley and Rascal. 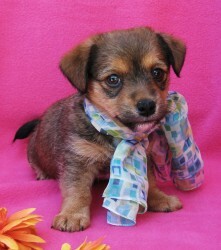 His mommy and daddy saw him at the OC Pet Fair event and fell in love with him, just like we did! 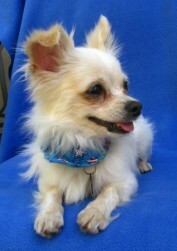 Cream Puff is living in Studio City with his new family and a feline friend named Nell. 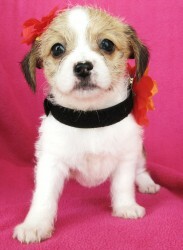 Lillian has joined her family and is now living in Irvine. 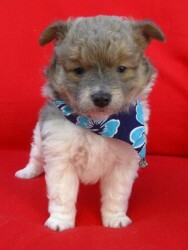 Harry, the most adorable ball of fluff, has been adopted and will be joining his mommy this weekend. 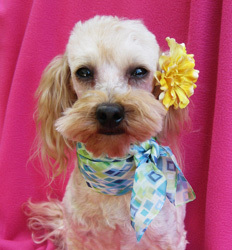 From a filthy mess to a groomed beauty queen, Mrs. B has found her forever home. 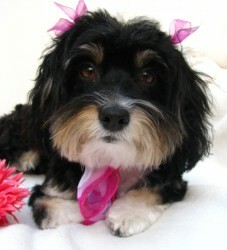 Paige is living in Aliso Viejo with 2 tuxedo cats, which are black with white markings, opposite of Paige! 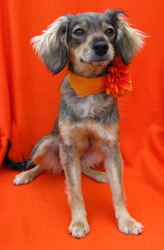 Clementine has found her forever family! 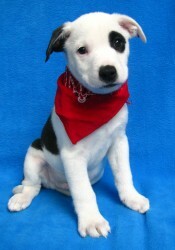 Tatum has been adopted and has a new furry friend named Harley. 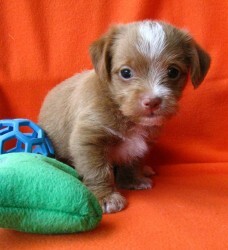 Honey Bun is now living in RSM with her new family! 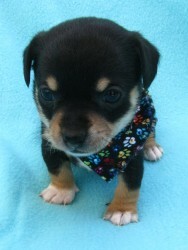 Nellie is now living in Encinitas with her new mommy! 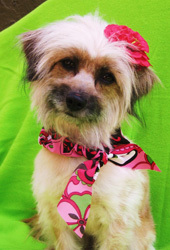 Presley's old family may have given up on her, but she now has a new life with a family who will adore her forever. Betty Crocker has finished mommy duties and is onto the next chapter of her life. Mrs. Weasley has left the world of Harry Potter and is now living in Aliso Viejo with her puppy Neville. 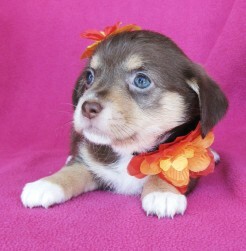 Sara is living in Santa Ana with her new family! 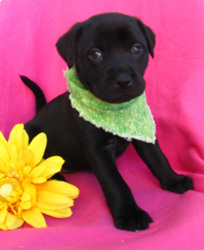 Lucky, now named Finnley will be joining his family in Carlsbad and have a new big sister named Abigail. 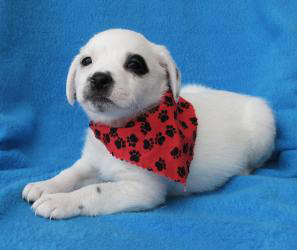 Aston's family came to pick him up and they fell in love with Kate too, so she will be joining Aston and Thomas Jefferson in Fallbrook! 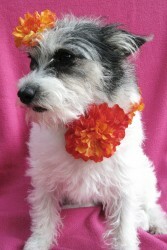 Olivia is living in San Juan Capistrano with her forever family. 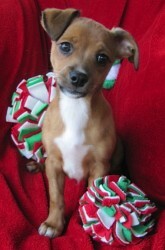 William is living in Long Beach with his new family! 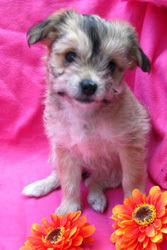 Hermione is now living in Coto de Caza with her new blonde siblings who looking nothing like her, but they sure plan to spoil thier little girl! Tiger Lilly, now named Little Lady Buckingham, has found her forever home and has a new feline friend. 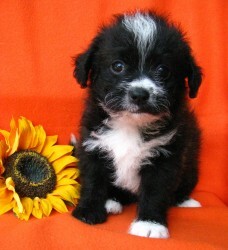 Ron is now living in Valencia with his new mommy and daddy. 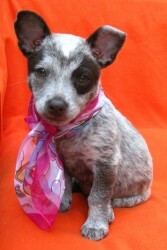 Blue Jean, now named Libby, has joined her forever home. 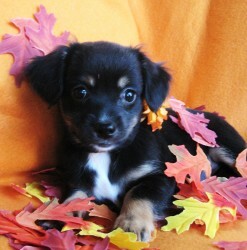 After being such a terrific mom to her pups, she is now ready to start the next chapter of her life with her new family! 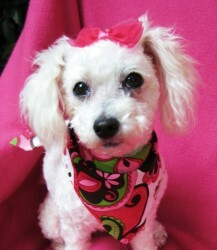 June Bug has found her forever home with another small poodle. 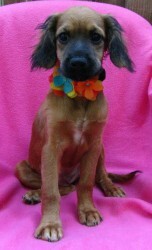 Tia has been adopted and will be joining her mom in San Diego. 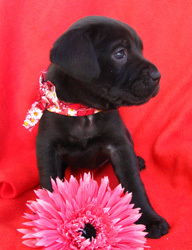 Miss Divinity has joined her forever family. 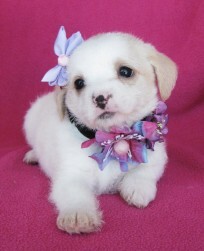 Cupcake is starting the next chapter of her life in San Diego. 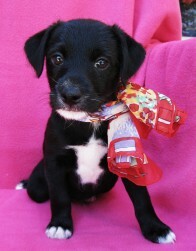 Eve is now living in Carlsbad with her new family! 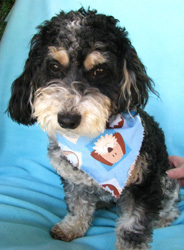 Diesel has joined his forever family and is now living in Trabuco Canyon. 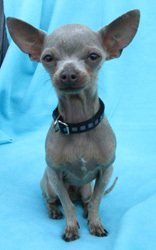 Franklin has joined his family in Los Angeles, and has a new canine sister named Zena. 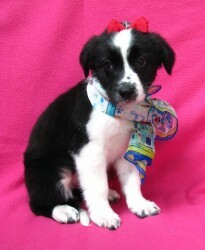 Bonnie Parker has been adopted and we look forward to hearing updates from her family. 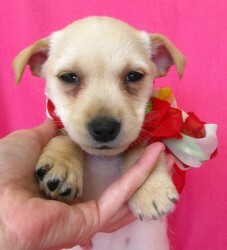 Sugar Plum, now named Crikette will be living in Corona Del Mar with her new mommy. 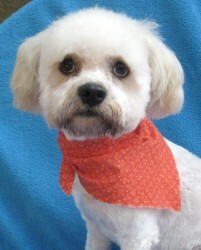 Clyde is now living in Thousand Oaks with a new furry feline friend. 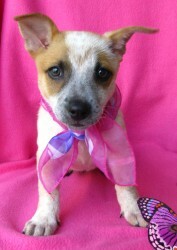 Darling Harper has joined her forever family! 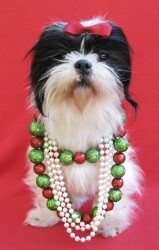 Joleen has joined her forever family and is now living in Long Beach. 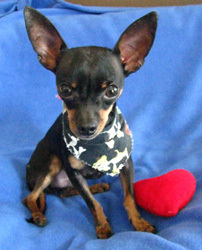 Joe has been adopted and now has a new mommy & daddy to call his own. 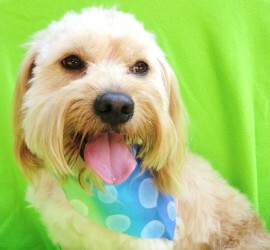 Lester Gillis will be joining his new family in Trabuco Canyon this weekend. 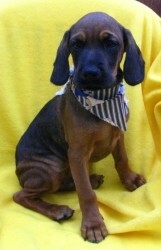 Abraham has been adopted and has joined his forever family! 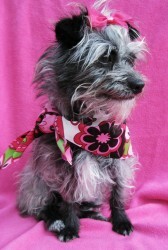 Bon Bon has left the See's Candy facility and has joined her forever family. 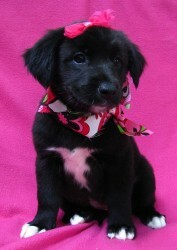 Emma Jean has been adopted and will be joining her forever family soon! 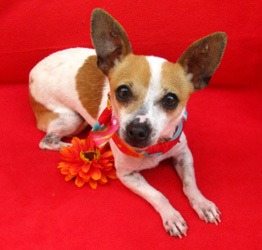 CJ has joined her family and is now living in San Juan Capistrano. 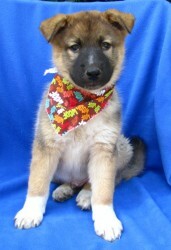 Hudson, now named Samantha is living in Lake Forest with her new family! 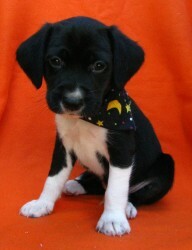 Bourdeux has been adopted and joins a former Lovebug puppy from our Harry Potter litter. 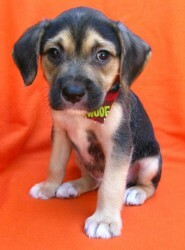 True, now named Layla is living in Huntington Beach with her new family. 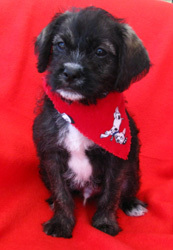 St. Nick will be joining his family in Ladera Ranch and have FOUR human brothers and sisters to enterain him for days on end! 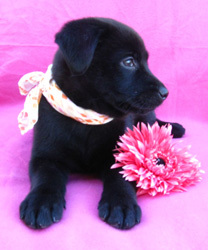 Sapphire has joined her new family and is living in Aliso Viejo. 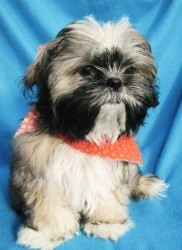 Delanie has joined her forever home along with her sister Dottie. 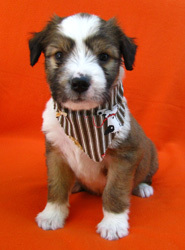 Nougat has been adopted and has joined his forever family! 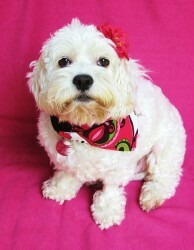 Dori has joined her forever home and is now living in Irvine with a terripoo named Lulu. 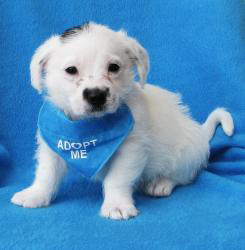 Scotchmallow has been adopted and has joined his forever family. 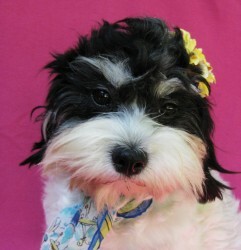 Dottie has joined her forever home along with her sister Delanie. 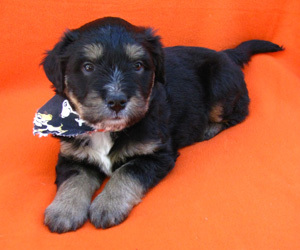 Marzipan has been adopted and is now with her forever family. 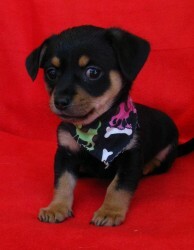 Ollie is now living in Huntington Beach, and has a new play pal named Olive. 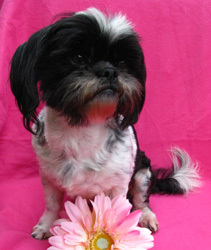 Michi has joined her new family and has a new furry brother to play with! 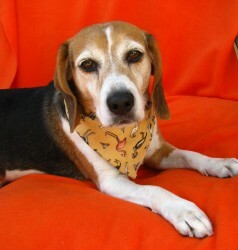 Jake has been adopted and is now living in Santa Ana. 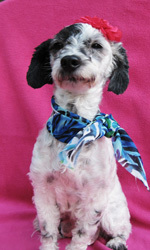 Pearl has been adopted will be joining her forever family! 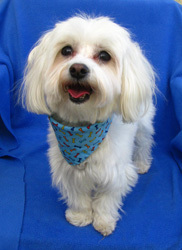 Bailey is now living in Aliso Viejo with his new family! 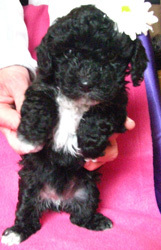 Audrey has joined her forever family and has two human siblings now to play with. 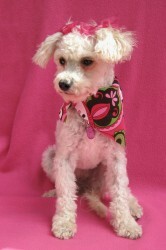 Adria has been adopted and joined her forever family and another furry companion. 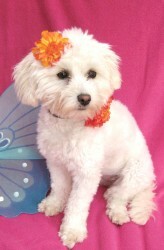 Emmy Lu is now living in Corona Del Mar with her new mommy!